By GolfSpy MBP, November 25, 2016 in Everything Else! AJ Sjostrom. He shoots video for GoPro, Cobra Puma etc. I follow just about every OEM Instagram account and they are all good, but @Srixongolf puts out some of the best looking photos of any of them. But they have some pretty good subjects to work with. I do follow all the MGS IG accounts I believe, I hope I'm not missing any of them. Check out sicksticks...custom club painter you can send your clubs too. His work is sick!!!!! HA Thanks. I'm lucky my two passions golf and college hoops don't overlap too much. If I knew then what I know now, I'd come up with a different name. Not that you asked, but I joined Twitter about 5 or 6 years ago when I first started covering the CAA fro the local radio station. I researched how Twitter worked and it said if you want to gain a lot of follower's you should use the subject of what you will be tweeting about in your handle. A few of he obvious ones were taken so I went with CAA_Beat, I dropped the _ for IG. Well as new social media channels were born I wanted to keep the same name, but the issue was CAA really has no bearing on golf so to speak. And, well so much for the Twitter expert advise, I have a whopping 500 + followers...LOL But I don't tweet much during non basketball season, I like Instagram a lot more. As Paul Harvey would say....And now you know the rest of the story. CG2 is correct about Srixon. They do have some good posts. Golf brands in general are far behind cycling brands on Instagram. Take a look at Pedal Ed and Rapha. Excellent quality. Makes you want to be part of the brand. Fescue Project has some inspirational stuff. Follow this and Seamus. Jonathan Wall for shots of new gear and winners bags. @taylormadegolf forged "Proto" irons at the RSM Classic. yep, I saw you and furu follow me...Thanks!! I was missing a few of the MGS accounts and added them as well. Make sure to follow Dave so you can see photos of the empty spot where his Srixon bag will eventually go. 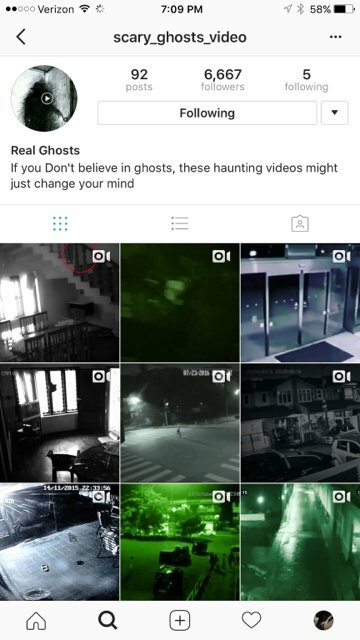 Any other good instagram accounts to follower for similar photos? I follow MGS on instagram and thought i'd start a line of questions about the posts that they put up. If this has been answered, please lemme know. Has there been any follow up on what this meeting was about? Fujikura are running a contest for the four 2014 Majors and will be sending someone to each of the Majors this year. This'd be such a sweet trip, so just wondering if you guys could 'like' my Instagram post and help a brother out. Top 10 'liked' photos by each deadline go into the draw for the trip to the major. Feel free to comment on my little patriot project as well!